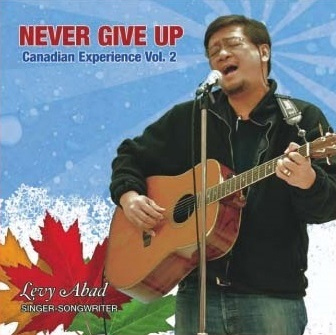 Levy’s recent album Never Give Up- Canadian Experience Vol. 2 has now been released. Most of the songs in this album were written within the last three years of his stay in Manitoba. This all-English album is a response to his friends’ request to come up with a human rights’ album. A portion of the proceeds from Never Give Up- Canadian Experience Vol. 2 is being donated in support of Artbeat Studio. For more information, and to purchase copy of the album, visit www.levyabad.com.